Vice President Michael Serao of Quontic Bank specializes in political candidates banking needs. Many candidates have always asked my advice on where to do their campaign banking and my answer has always been Quontic Bank. Navigating the quagmire of campaign finance regulations is not an easy task, and some will say it’s near impossible. Without the right expertise the fine print is often overlooked, which could lead to costly fines and penalties – even disqualification from matching funds. What can a campaign do? Corporate banks are notorious for being impersonal and are not equipped to handle the special needs of political banking in New York City. Could you imagine a representative from Citigroup or J.P Morgan taking calls at midnight? Or showing up to your fundraiser to ensure compliance with federal, city, and state law? What if there’s an emergency, do you have your corporate banker’s cell phone number? With the hectic pace of politics, corporate culture can be too impersonal, often impractical to reach campaign goals and more often than not becomes an unwelcome distraction rather an asset. Quontic Bank has taken a unique approach to fill this need with one-on-one personalized banking especially suited for the needs of political candidates and organizations. When candidates bank with Quontic, they will have confidence that their specialized and attentive staff is extremely well versed in NYC campaign finance, which sets them apart from competitors. Their staff will work directly with your treasurer and will even come to your fundraiser to ensure compliance with your contributions. But Quontic is not just for veteran politicians (whom often retain them after victory) first time candidates and organizations have also come to appreciate the personal interaction, real service, and a masterful knowledge of the field that Quontic staff like Vice-President Michael Serao brings to each one of his clients. It’s the type of advantage you need to win. Civic and advocacy groups like 501 c(3)’s and 501c(4)’s will also benefit from banking with Quontic. Perhaps you are in charge of a prestigious non-profit group, a political action committee, or just a startup organization. Maybe it’s time to entrust your banking needs to someone with experience in this field. So, when you’re gearing up for the big one in 2013 and you want a fighting chance; don’t let banking become a roadblock for your campaign. Call Quontic today. With two convenient locations in Astoria and Great Neck plus surcharge free ATM’s, insiders agree, Quontic is the clear choice for banking in politics. Contact: Michael Serao, regional manager / vice president. Congressman West (R-Fla) has been in hot water for his controversial statements. A Democratic candidate for the 19th City Council District is outraged with Dan Halloran for announcing plans to attend a fundraiser held by Tea Party backed Republican Congressman Allen West. I was shocked to learn this morning that City Councilman & Congressional candidate Dan Halloran would be attending an upcoming fundraiser for controversial Congressman Allen West. 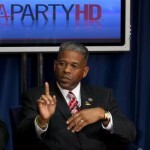 Congressman Allen West is completely out of touch with the majority of Americans. 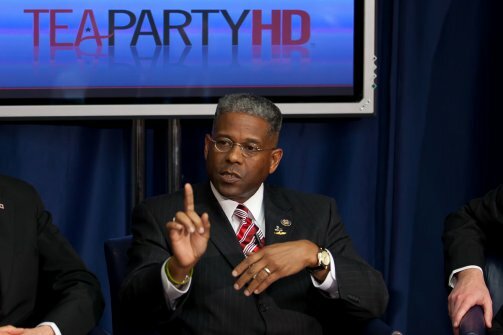 Congressman Allen West’s comments accusing 78-81 Democratic Members of Congress of being part of the Communist Party are completely inappropriate. What are most alarming were Congressman West’s recent comments about guns. Congressman West said at a campaign rally “Well, I got a great idea. I believe for personal security, every American should have to go out and buy a Glock 9mm”. According to the New York City Police Department website, since the start of 2012 there have been 1,034 shooting incidents in New York City This is already up 1.3% from 2011. With gun violence on the rise in New York City, comments like this only add more fuel to the fire. Now is the time to talk about ways in which we can reduce the rate of gun violence in our City. Dan Halloran’s alliance with Allen West is a clear reminder of why Dan Halloran is the wrong choice to serve the 6th Congressional District in Congress & the wrong choice to serve the 19th Council District in the NYC Council. At what might be the most exciting candidates forum in recent history, John Messer and Toby Stavisky will debate at New York Hospital Queens on August 29th. All welcome. Candidates’ attendance confirmed. The following is a press release from Congressional candidate Dan Halloran that compares his recent trip to Israel with Grace Meng’s visit in 2010. Two Candidates, Two Trips to Israel. So What Are the Differences? Grace Meng went to Israel in 2010. Dan Halloran was there last week. Meanwhile, Halloran was personally endorsed by the Culture Minister and several members of the Knesset, including Deputy Speaker Danny Danon. Which candidate do they think will truly fight to protect them in Congress? Assemblywoman Meng didn’t say a word about the Cordoba House mosque, which Halloran vocally opposed. 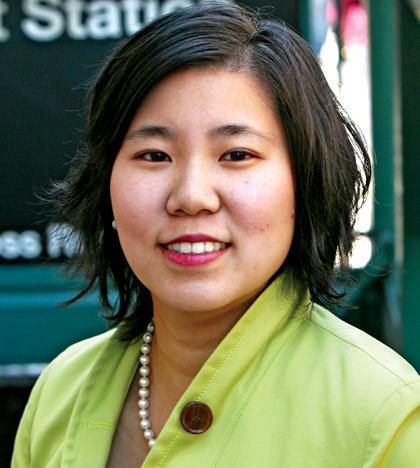 Grace Meng said she would vote to censure the NYPD for its anti-terrorism programs by cutting federal funding. Halloran — whose grandfather and great-grandfather were both NYPD police officers — has pledged to put more cops on the streets to fight crime and terrorism. Grace Meng’s first critiques of Obama’s foreign policy appeared in The Jewish Week just two weeks ago. In her Jewish Week editorial, Meng didn’t say a word of substance about how to keep Israel safe. She didn’t so much as mention the new Islamist government in Egypt, or the crisis in Syria. On both issues, Halloran has taken strong stands. Halloran went to Gaza and Ramallah and other Arab-controlled territories — as well as Jewish settlements in East Jerusalem. What trouble spots did Meng visit and see for herself to really understand the crisis? We are glad that neither candidate was photographed with an assault weapon. Meng gets an A and a powerful boost in her campaign courtesy of the UFT. Meng receives a powerful Union endorsement. 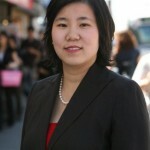 PRESS RELEASE: The United Federation of Teachers announced its recommendation of Grace Meng’s candidacy to the New York State United Teachers for the newly drawn 6thCongressional District.The union claims a statewide membership of over 600,000 members and represents teachers, professors, healthcare professionals and day care providers. Nothing is more important than ensuring all of our children receive an A+ education. That’s why I am honored and humbled to receive the recommendation of the United Federation of Teachers – a union which has done so much for our students, teachers and public education system. I am hopeful to earn the support of the New York State United Teachers in the coming days and look forward to continuing the fightfor healthy and safe learning environments for students, securing the necessary resources our teachers deserve and advocating for a first-rate education in all of our schools as a representative in Congress. The UFT is one of New York’s largest and most politically engaged unions, boasting an extensive media apparatus, direct communication capabilities and an active and dedicated membership. The union has demonstrated considerable electoral strength in Queens in recent elections by playing a pivotal role in the elections and re-elections of Senator Tony Avella, Assemblyman Phillip Goldfeder and Senator Shirley Huntley. With over 13,000 UFT households in the 6th Congressional district, the UFT’s support is arguably the most coveted union endorsement in the race for the newly drawn NY-6. You can probably guess why Liz Crowley didn’t get the endorsement. 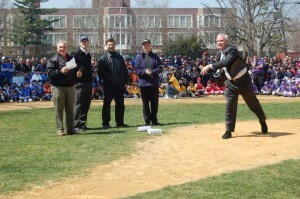 Batter Up: Who Will Challenge Avella In ’12? 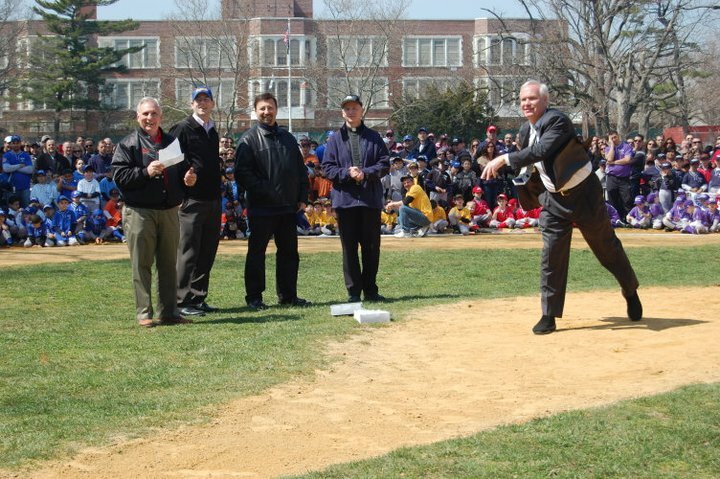 Go ahead, take a swing, says incumbent State Senator Tony Avella (D-Bayside). Four possible candidates show the ambition it takes to make a run for Tony Avella’s 11th Senate District in northeast Queens. Who are they? While no candidate from the GOP has come forward and declared an official run, the 2012 election is right around the corner, and members of the Queens Republican Party have already been asking themselves, am I ready for a face- off with Democrat Tony Avella for the 11th Senatorial District? Average folk tend to look past his Libertarian leanings, and his office staff is excellent, fast, and responsive. Dan is young and he has the energy to travel back and forth to Albany. It’s a lot of stress for us down-state folk. Dan’s odds: 3 to1. 2. 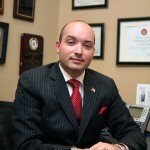 Vince Tabone, Executive Director of the Queens County GOP. Odds of running against Avella = 10 to 1. Vince Tabone is one of those ‘operatives’ turned candidates. 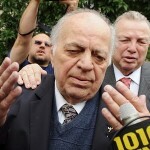 Vince pals around with Chairman Phil Ragusa from the Queens County GOP and he has mulled around the thought of taking the chair position from Ragusa for quite some time. Plenty of ambition over at the party HQ. Interesting story about Tabone, when I was working a special election in South Queens, Vince cornered me at the Reception House on Northern Blvd during a local GOP convention and promised to deliver me boots on the ground (code phrase for pro-volunteers) to South Queens. With the election a few days away, and no help from the Queens GOP in sight (we won that election by ourselves) I said, “Vince, you have no boots on the ground, and you can’t deliver what you don’t have.” I patted him on the back and I walked away. Later on he would run a failing bid for State Assembly against now incumbent Ed Braunstein, who I campaigned for. 3. 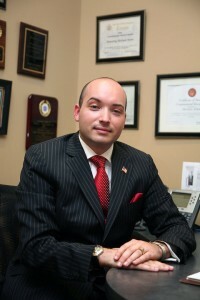 Elio Forcina, Former State Assembly Candidate, Attorney. Elio Forcina is thought to be highly regarded amongst Conservatives as well as the Queens GOP. Elio ran for State Assembly District 26 in a Democratic primary as a Conservative Dem, and won nearly every single ED in Whitestone, (a stronghold of sometimes conservative leaning voters). During his grassroots campaign, Elio stuck to his Conservative roots and ran a platform of fiscal responsibility and increasing transparency in Albany. Wilson Pakula? Elio is also a neighborhood fixture in Clearview Gardens and his campaign banner is still up at the 7-11 parking lot in Whitestone, and probably will be forever. Marco is somewhat of a mystery. Marco filed to run for Assembly in AD27 and got himself enough signatures to get on the ballot, and that’s where I believe his campaign ended. Marco spent 36 dollars in the election and gave Democrat Mike Simanowitz the edge. If Simanowitz had just three volunteers (he had an army of supporters, including yours truly) that would have been three more volunteers than DeSena had . * Many more may enter or never declare, and there’s no residency requirement for running. Also redistricting is a big issue, so we don’t actually know where Senate 11 will be located. Lastly, Senator Tony Avella is an excellent legislator and an experienced campaigner. He knows the people and the district better than any of the candidates above.